New remix contest by Electrotribe. You have three tracks (“Umbel”, “Warp” & “Container 47″) by Datensi to remix and win a digital release. Good luck! Dear friends djs & producers!2009 is coming to it s end and we are happy to give you a new opportunity to get involved in elektrotribe! This is your chance to put your hands on the amazing debut album of Datensi! 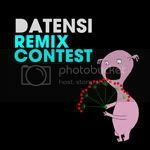 The remix contest is based on 3 songs of Datensi´s debut album. The 3 best versions of each song will be released in February 2010 on Datensi Remix Album! You can submit your remix up to the 31st January 2010! Good luck & Have a great time remixing!